There, I have said the name. Let the battle begin. Or rather, let it resume. There are so many aspects of the American (Un)Civil War Between the States that are controversial. Almost every point of contention can be found in the life, battles, and words of Nathan Bedford Forrest. Shelby Foote considered Forrest and Abraham Lincoln to be the two most unexpected, untrained, and natural geniuses to emerge from the war. That is a fair assessment. Forrest was called, by one biographer, a wizard in the saddle. Most Civil War generals were alumni of West Point. A few others (most of whom were incompetent) were politicians. Forrest had no formal military training. He had very little formal education of any kind. Forrest was the epitome of the frontier-born and bred, self-made, hard-scrabble, rags-to-riches, independent man. Being southern and from east Tennessee, he found his way to fortune in cotton and slaves. He was a slave trader. Even those of us nurtured on Southern history cringe at the slave trade. Having slaves is problematic. (In some circles, it is among the most ultimate of evils.) But we can often imagine ourselves being the kind of southerner who might have inherited slaves, considered them as family, worshiped, celebrated, and grieved with them, and took care of them in their old age. There were such, and many such, Southerners. But slave trading? Whether it is Uncle Tom’s Cabin or The Adventures of Huckleberry Finn or a host of other powerful novels or non-fiction accounts, slave trading in fiction and reality was horrible. But Forrest made a profit at that very venture. The war came along, and Forrest, who was a community leader and a natural leader, quickly emerged as a crafty, intuitive, recklessly bold cavalry commander. One of the earliest exploits was his refusal to surrender at Fort Donaldson in north-eastern Tennessee. While the other Confederate commanders dithered and cringed at the surrounding Yankee forces, Forrest determined to take his mounted troops through the swamps and Northern encirclement and escape…to fight again. While not flawless on the battlefield, the general inclinations of General Forrest were toward extracting a victory of sorts from every confrontation. This war was no parlor game, or gentleman’s contest, or chessboard with set pieces and limitations of movement. Forrest rightly noted that “War means fightin’ and fightin’means killin’.” We can never know how Forrest might have functioned if he had been placed in command of a corp or an army. The Southerner who laments the loss from the Late Unpleasantness can only speculate how Forrest in command might have changed such battles as Vicksburg, Chickamagua, or Franklin. For certain, Forrest would not have had Braxton Bragg’s inability to do anything right. He would not have retreated endlessly as did Joe Johnston, nor would he have wasted troops in the way that John B. Hood did. Several outstanding military leaders emerged from that war. When you look down through the ranks, quite a few gifted commanders emerged. Some of the names are obvious, such as Lee and Jackson, Grant and Sherman. Some are less known such as George Thomas of the Union Army and Pat Cleburne, an Irishman transplanted in Arkansas. Any list of “greats” would have to include Forrest. But his very name is a lightening rod for controversy. The slave trade before the war taints him and his affiliation with the Klan after the war seals the condemnation for many. And like just about everything Southern, the boy with a drawl feels compelled to sing “Dixie,” wave a battle flag, and take a stand on behalf of the South and of Forrest. Forrest was, in many respects, a protector and reasonable man with regard to black Southerners. He took a number of slaves with him into the cavalry. He told them that if the north won the war, they would be freed. But if they served with him and the south won, he would free them. The whole Klan affiliation in the immediate aftermath of the war is complicated. “Those people,” to use General Lee’s term for folks up North, scream when certain issues are even broached. There is, in fact, no discussion or dissension allowed from the party line. Watch the portion of Gone With the Wind that deals with Reconstruction. Maybe that will help set the context for secret vigilant societies in the post-war South. Forrest came to see white Southern farmers and black Southern farmers in the same predicament. He did, on one occasion, kill a former slave in an altercation. But Forrest was actually fighting a man who was abusing his (the slain man’s) wife. Forrest, like most Southerners and Northerners, was very paternalistic toward blacks, before and after the war. He was a man of his times. 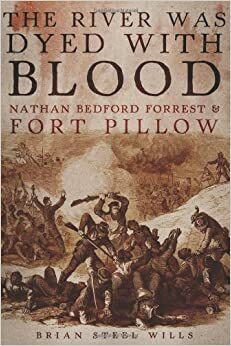 This book, The River Was Dyed With Blood: Nathan Bedford Forrest and Fort Pillow, is by Civil War historian Brian Steel Wills. It is published by the University of Oklahoma Press. Some years back, Wills wrote an excellent biography of Forrest called A Battle from the Start: The Life of Nathan Bedford Forrest (reprinted as The Confederacy’s Greatest Cavalryman: Nathan Bedford Forrest). In this book, he revisits the man and focuses upon a particular point of controversy–the capture of Fort Pillow. This would have and should have been a minor episode in Forrest’s military career. He attacked and captured one of the many outposts on the Mississippi River. There were at least three aspects of this confrontation that sparked actions leading to the controversy. First, there were leaders and soldiers in the Yankee army who were Tennesseans. Sometimes, they are called Galvinized Yankees. Tennessee was, like almost every Southern state, divided politically. Many Tennessee boys joined or were pressured into fighting for the Union. Forrest considered such enemies as traitors. They riled him something fierce. There were also African-Americans, former slaves, serving in the Union Army. In the big picture, we have to remember that both Southerners and Northerners were usually opposed to and even hostile too colored troops. This pattern continued up through World War II. (Harry Truman as President desegregated the military.) In the “best of times,” captured black troops were returned to their owners. There were cases, and Fort Pillow is the prime example, where they were killed. The third aspect of the battle was the refusal of the leaders of the fort to surrender it when Forrest demanded their capitulation. Forrest, stealthy fighter that he was, preferred saving the lives of his men. He used bluff and bluster to end battles with as little warfare as possible. He was not shy of the harsh realities of war; rather, he knew that preservation of his army was central to ultimate victory. Fort Pillow was surrounded and basically doomed. But there was the possibility of rescue or relief from naval craft on the Mississippi River. As Yankee troops were falling wounded and were surrendering, the ire of the attackers was increased. Hence, some men, and particularly black soldiers, were killed while attempting to give up. Forrest was, for a number of reasonable causes, not in the forefront of the battle. He did not promote, approve, or excuse the wanton taking of lives. The killing of prisoners and the slaughter of blacks was not part of his philosophy of war or normal actions. Dr. Wills relates numerous accounts of battles where things got out of hand. There is a psychology of warfare that makes the death and destruction even more horrifying. War does something to the minds and reactions of men. It has happened often, and it happened at Fort Pillow. In spite of what can be said to excuse or explain Forrest’s role in this battle, he was the commander. Some of what he said in defense of his role was ill advised. Sometimes, like the lady in Hamlet and like all too many who are implicated of wrongdoing, Forrest protested too much. There were too many horrors and evils of the War Between the States to catalog. Yes, battles involve death, but the casualty counts among people worshiping, in many cases, the same Lord should have given pause to both sides. Along with the frontal charges, the unnecessary deaths, the accidents of war, the diseases and poor treatment of the sick and wounded, there were out and out atrocities. The white flag of surrender may or may not be noticed and honored. Prisoners of war were often victims of wrongdoing. Soldiers killed wantonly on occasion. This book is a good study of a man, a controversy, and the necessity for inquiry and patience in history. Nathan Bedford Forrest is cleared of the worst of charges, but he was sinner whose actions tainted his gifts. Forrest became a Christian after the war. It is grace, after all, that enables any of us to find ultimate satisfaction in our struggles. “Teacher, I didn’t exactly finish the book.” I have endured that excuse from miserable underlings for years. The unbending rule of my classroom, borrowed from some scholastic environment of yesteryear, is “Learn or depart. A third alternative is to be flogged.” Floggings and canings are regular occurences in my classroom. Many are the times when a student has to stand because sitting is uncomfortable due to the recent administration of violent instruction upon the hinder parts. Actually, none of the above is true, except the part of hearing excuses from students for not getting assignments done. They don’t always realize it, but I truly understand. With the necessity of checking everyone’s FaceBook status, upgrading their own status, listening to and downloading music, watching movies, texting endlessly, tweeting and eating, shopping and bopping, who has time to plod through a tome. Besides, reading makes you sleepy. Or what if, horror of horrors, an assigned reading bores the student. Quick, administer the Detergent novel series—the students are bored. All of that paragraph is true except for using the Detergent series to cure an outbreak of literary boredom. “Of the making of many books, there is no end,” said Solomon on the occasion of perusing his Wish List on Amazon. I read books; I reread books; I study books; but I also scan books, survey books, and glance at books. I review books as a part-time job. It pays well, if you think of pay as something other than money. It is a free service to the blog reading community. It is a sharing of a gift and experience. All of this is to say that I am going to comment upon a book I have not read. About a year ago, I received a review copy of Heaven and Hell: Visions of the Afterlife in the Western Poetric Tradition by Louis Markos. I have scanned the book, read portions, and eagerly thumbed through it. But since it did not directly fit into last year’s teaching schedule, it did not get the needed cover to cover read. But I highly treasure and recommend the book. There were two reasons for my endorsement–the title and the author. First the title: Heaven and Hell…Visions of the Afterlife…the Western Poetic Tradition. Point blank, we must say, there is no understanding of literature without an understanding of theology, primarily Christian theology. Agrarian poet, novelist, literary critic Robert Penn Warren told his students, “Read the Bibles and mark them well. I mean the King James Version.” To start naming the literary works that borrow from, build upon, allude to, use and misuse the Bible is synonomous with listing the books in the canon of literature. Markos includes chapters on Dante (actually 9 chapters), John Milton (2 chapters), John Bunyan and John Donne (who share a chapter), William Blake and C. S. Lewis (one chapter each). He also has seven chapters on pre-Christian Greeks and Romans. But they too “borrowed from” Christian theology. This theological bent is not just toward old and ancient epics. William Faulkner’s books are suffused with Biblical imagery and Christian references, as well as Christian characters. John Steinbeck’s Grapes of Wrath builds it theme upon Biblical motifs. Hemingway’s title The Sun Also Rises is from Ecclesiastes. Every work of fiction is a commentary upon some book, passage, or teaching of the Bible. Continuing with the title, every piece of literature deals with some vision of Heaven and/or Hell and some sense of the afterlife. Even the most cynical, skeptical, Nihilistic, atheistic piece of fiction opens up a discussion of the afterlife. Maybe the door is one that closes and the theme is that all is meaningless. Maybe there is No Exit (to borrow from Satre) or maybe we are Waiting for Godot (to borrow from Beckett). To say that “this is all there is” is to posit a view of the afterlife and how we should view such. The fact that the novel ends, but is expected to still be living in the mind of the reader is the testimony to an afterlife. The book, any piece of fiction, roadmaps to somewhere, even if that somewhere is nowhere. What a great college course that would be. What a good list of books and authors to plunge into. Certainly, literature students should be grounded on these works. But what about pastors and theologians? I am convinced that pastors, theologians, doctors, lawyers, accountants, politicians, moms at home, scientists, and zoo keepers all need to be grounded in literature. There are both elements of renaissance and reformation going on in our world. Certainly, one can look at the news and world events and conclude that these are “the worst of times.” (Historical ignorance reinforces that hasty conclusion.) But it is the world of pagan thought, rebellion against God, immorality, governmental overreach, materialism and poverty, and more than engulfs us. But we can rejoice in the collapse of those kingdoms in the sand. God is building His kingdom. Certainly and centrally, He raises up churches, pastors, Christian men and women, and Christian families. But Christ died for, redeemed, and rose from the dead for all of creation. Salvation is not just personal and otherworldly. It is cultural and cosmic. There is notable progress among Christians in the field of philosophy. There are plenty of names in other academic areas, but literature is a vast field of opportunity for both Christian scholars and students. So, God is teaching us literature. In the not so distant past, it was the Fugitive Poets, the cultural Agrarians, the literary New Critics who opened the door to rediscovering the world of fictive and imaginative thought. In more recent times, it was such literary giants as Mel Bradford, Cleanth Brooks, Louise Cowan (retired, but still teaching), and Leland Ryken (also retired, but still instructing). Currently, it is teachers like Louis Markos. Dr. Markos, surrounded by a books and Raphael’s classic painting The School of Athens. World War I began 100 years ago this month. In many ways, that war is, from many people’s historical perspective, a side note of history. The War Between the States and World War II have captured the interest and attention of Americans through books and movies. World War I is less appealing, less interesting, less important as we see it. There is a grand moral narrative that shapes our understanding of World War II. There are those who debate America’s involvement in World War II, but the overwhelming images of American and British forces liberating concentration camps strongly impacts our understanding of why we fought in that war. Hitler and Mussolini epitomize evil leadership. Japan’s atrocities in China seemingly justify doing whatever it took to defeat the Empire of the Rising Sun. But it is hard to work up indignation against Kaiser Wilhelm of Imperial Germany and Emperor Franz Joseph of Austria-Hungary. The images from World War I shows a world in black and white. The film footage of the time has people walking in a Charlie Chaplin manner. The causes, battles, length, and results of that war are all blurred by a century that had a bigger, more visible, more ideologically clear, more fluid war. The Allies in World War II swept across North Africa, Sicily, Italy, and France. The Allies in World War I were locked into a war of attrition in Flanders Fields. The airplanes, tanks, and even uniforms of World War I appear as almost comic. The literature of World War I, on the other hand, is far from comic. From the German Erich Maria Remarque’s All Quiet on the Western Front to Ernest Hemingway’s A Farewell to Arms, the story is depressing. A philosophy of despair and death arose from that war. Hopelessness, cynicism, defeat, angst, and Nihilism all seemed to be the natural conclusions of those who survived the war (and the horrible flu epidemic that followed). About the only World War I literary work that counters the pessimism was J. R. R. Tolkien’s Lord of the Rings trilogy, which grew out of his personal experiences in the war. I am now about halfway through reading Max Hastings’ Catastrophe 1914: Europe Goes to War. Yes, I am reading it because I like to read history, but I am also reading it because this month is the 100 year anniversary of that war. I have read quite a few accounts of World War I in my years as a history student and teacher. This is an outstanding work of scholarship. It is another line of evidence for the superiority of British historians. 1. The political leadership in the countries of Europe in 1914 was attrocious. Maybe it is just harsh judgment with 20/20 hindsight. But every account I have ever read indicates that the leaders of the major powers–Germany, Austria-Hungary, Russia, Britain, France, and Italy–all blundered and stumbled into a war that offered nothing but ruin. It is easy to fall into thinking that today’s leaders are all dolts, and it is hard to see current world leaders as statesmen and visionaries. But I don’t want the “good ole days” when the fate of Europe was in the hands of the men who made decisions, mobilized armies, and triggered World War I. The few men here and there who foresaw the costs, the probable duration, and the devastation of the impending war were prophets without a listening audience. 2. Instead of World War I, there should have only been a war between Austria-Hungary and Serbia. This is not to justify Austria-Hungary’s declaration of war on Serbia for its connections to the Black Hand. By the way, an act of political terrorism, the assassination of the unpopular Archduke Franz Ferdinand, sparked the war. Looking at the maps and population numbers, one might think that Austria-Hungary would have swallowed Serbia. In reality, Serbia was in much fighting trim and was much more motivated to defend itself. Austria-Hungary was a polyglot nation of many lands, languages, and ethnic groups. It was out of touch with reality and the Serbs would have given them a good pounding. If Germany had not given Austria-Hungary the famous “blank cheque” and if Russia had not felt honor-bound and blood-bound to defend Serbia, then there would only have been a minor war resulting in a few doctoral dissertations among history students. 3. Civilian atrocities, while exaggerated by propaganda, were real and horrible. The main area of invasion was Belgium and northern France. Germans were the main perpetrators of these civilian deaths. These were not cases of collateral damage inflicted on civilians in the crossfire. Germans executed civilians, burned libraries, and waged a type of war that would make Sherman’s March to the Sea look like a picnic stroll. 4. The military leadership at the beginning of the war was just about as incompetent as the political leadership. Oddly enough, the British Expeditionary Force, almost a token army on the Western Front, was under the command of a General named French. He blundered his way through the first months of the war with little understanding. Thankfully, the German commander Helmut von Moltke had enough faults and made enough blunders to keep Germany from winning the war in the first months. (Assuming a German victory would have been all that bad.) All too many of the military leaders on both sides were aged and still bound to a mindset more closely akin to the Napoleonic Era. 5. In August, the death tolls were already so high that all sides should have been having second thoughts about the war. Machine guns and heavy artillery were already proving to be terribly destructive. The numbers of men being mobilized were astronomical. The leaders should have been seeking some forum for negotiating their way through what was proving to be anything but a short war. World War I is depressing. Catastophe 1914 is grim reading. I could wish that the world had “learned its lessons” and was better now. History is not for the faint of heart. Southern life, literature, religion, folkways, music, and culture evokes images. But there is no one image that captures it all. So, run down old buildings, farms, cotton fields, front porches, rockers on front porches, banjos, picnics, lazy rivers, huge arching trees, plantation houses, Confederate battle flags, jam sessions with white men playing guitars and banjos, jam sessions with black men playing guitars and banjos, country churches, signs telling folks that Jesus saves, and William Faulkner all characterize the South. Southern literature is rich. It is rich in its roots. Consider Mark Twain and Joel Chandler Harris (who wrote the B’rer Rabbit stories). It is rich in the history of what Southerners called “the Wah.” Consider Margaret Mitchell’s Gone With the Wind or Caroline Gordon’s None Shall Look Back. It is rich in complexity. Consider everything that William Faulkner wrote. It is rich in comedy. The B’rer rabbit stories again come to mind. It is rich in tragedy. Consider every Southern story connected with the War. It is rich in the community and disharmony among the races. Consider Harper Lee’s To Kill a Mockingbird and Faulkner’s Go Down Moses (and almost everything else he wrote). I love it. I have lived it. Or at least I have read about it. My own Southern boyhood was more boring and more mythical than I care to admit. Tom Sawyer’s most boring day was far more exciting than my life. Every time I read and teach Hie to the Hunters by Jesse Stuart, I want to be a young boy living with the Sparks in rural Kentucky. But, life can be lived, or at least supplemented, by books. 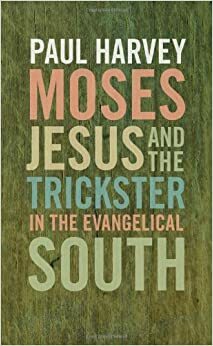 Moses, Jesus, and the Trickster in the Evangelical South by Paul Harvey caught my attention about a year ago when I was taking my son Nick back to Wheaton College. I came home and contacted the University of Georgia Press and asked for a review copy. And I got it, read it, but never posted a review. This is the first of a series of Overdue Reviews. I get lots of review books. I also buy books that I review. I read or attempt to read all review books. But life overwhelms reading. Sometimes, I read and like a book, but just cannot gather a coherent line of thoughts about it. I read and enjoyed this book, but could not organize a review. Let’s look at it like this: Professor Paul Harvey of the University of Colorado at Colorado Springs and I have lots of common interests. Southern history, literature, and religion are consuming passions for both of us. But we see things differently. 1. The contents are from the Mercer University Lamar Lectures, Number 52. That lecture series has spawned a whole category of great literary and cultural studies of the South. I have a volume or two (by Donald Davidson and Cleanth Brooks) from past lectures and wish I had all the volumes. Since these are lectures, they are not as heavily footnoted and a complete survey of the topics is not in the purview. 2. White Southerners and Black Southerners viewed Moses and Jesus in different ways, according to their historic circumstances. Harvey is not writing theology, but this book is a good reminder that we often interpret our Faith in terms of our culture. I suspect it is impossible to not do so to some extent, but we need to read beyond, before, and above our own cultural imprintings. 3. This book examines, in part, William Faulkner’s complex novel Absalom, Absalom, along with works from Toni Morrison. There is not much Southern literature that is clearly Christian like the British works by Chesterton, Waugh, Tolkien, and Lewis, but Southern literature is, to use Flannery O’Connor’s term, Christ Haunted. 4. The book explores Southern music ranging from Johnny Cash to the blues to Gospel music. 5. It also explores the fact that the South is both heavily religious and the most violent part of the country. Fascinating. Controversial. Engaging. Revealing about the South. There are ways to get over the mountains. Eschatology (doctrine of last things). These are pretty standard subjects for Sytematic Theology. Sproul’s coverage of the many topics in this book is short enough to rile just about everyone. After all, he is a Presbyterian, a Calvinist, an Evangelical, an Amillenialist. So, anyone who doesn’t line up with those isms can be miffed. And for the isms we share, there is room enough to also be miffed. Sproul touched lightly on the topics he covered. He jabbed and poked at views he rejects, but rarely sliced, diced, and juiced those views and their adherents. 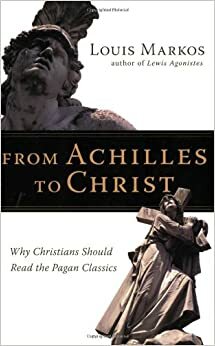 The serious reader, the crusty old Calvinist, the bibliophile, and warrior with scars from ancient battles with the foe will not learn much of the What of theology from this book by Dr. Sproul. But he profoundly teaches the HOW TO of theology. This past year, one of my favorite teaching opportunities was the Theology and Apologetics class at Veritas Academy. We read several books, read from others, watched some good videos, and had some great discussions. What was lacking was a usable handy-dandy systematic theology text. Most systematic theologies are fat books; that is, the kind that weigh down our bookshelves. Such hefty tomes yeild much richness, but the challenge of the mountain is too much for many of us, and usually too much for theological beginners. The joy of weighty books. A delight to the eyes, a vein of gold to the mind, and a benefit to the cardio-vascular system. Here is where Dr. Sproul, master teacher and theologian, steps in. Again, each chapter is five pages long. Reading the chapter is easy enough and each chapter opens up the classroom setting or Sunday school to discussion. In each case, Sproul includes a passage or two from Scripture to support the topic at hand. (In contrast, the longer systematics might have pages of Scripture references. That too has its place.) Consider this: If you and I knew at least one place in the Bible where we could readily turn and explain or defend a doctrine, then we would be well served. “Amen” to extra passages, cross references, and exhaustive detail. But knowing one or two key passages is a great starting place. Sproul usually includes an anecdote or personal story to illustrate or supplement the doctrine. Frequent readers of Sproul will recognize some of the stories or recurring people, such as his Dutch professor G. C. Berkouwer or his mentor John Gerstner. Key teaching point: When Sproul or any other author frequently mentions a particular author or thinker favorably, read that person. Sproul also introduces, little by little, necessary theological language. Every subject has its vocabulary. Big words are tools to simplify concepts. So, as the broad divisions indicates, the reader of theology needs to know terms such as Christology, Pnuematology, and Soteriology. As a teacher in a classical Christian school, I have been amazed at how often Sproul introduces Latin terms. The Church discussed theology for nearly 2000 years in Latin. Even when the books were not written in that language, the quotes from authors in Latin were not generally translated. The big words are necessary to expand the mind. They are not to be used to intimidate the novice or lost person. Don’t parade your theological acumen by saying things like “Your lack of an epistemologically sound hermenuetic explains your synergistic soteriology.” (And I am not even sure what that sentence would mean.) A doctor needs to know a better term than “funny bone” for the elbow, but “the olecranon process” is not the language to use on patients. Sproul breaches discussion on heresies, false emphases, warped applications, and the like without a serious deconstruction of the problems. But rest assured, there are plenty of books out there that, to use a term from C. H. Spurgeon, “thrice slew the enemy.” Truth taught properly needs to weigh heavy on the truth itself rather than the distortions. The teacher or class studying this book can use discussion time to expose heresies or harass fellow believers who are in error. A last point to be made is that this book emphasizes living the faith. A larger attempt at that same goal can be found in John Frame’s new and hefty Systematic Theology: An Introduction to Christian Belief. For various reasons, Calvinistic and Reformed thought has proven to be a magnet to certain types of brainy, arrogant, intellect driven young men. (Alas, none of those adjectives apply to me any longer, if ever.) 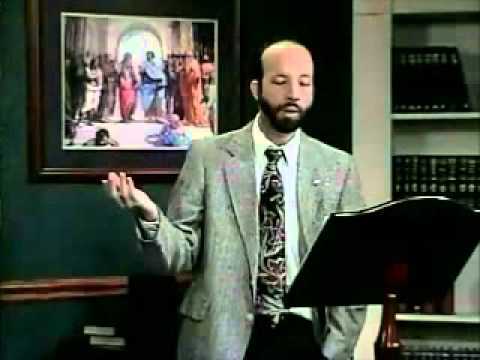 It is relatively easy for some young guys to work out in the theological weightroom lifting the Bavinck weights, doing N. T. Wright curls, and bench pressing Calvin’s Institutes. You can spot the oiled and muscular theological intellects of these guys on the ecclesiastical beach of life as they show off, intimidate, and even sucker punch poor Arminians who are trying to pass out Chic tracts. Systematic theology, however, was never meant to be an intellectual head-trip. Calvin was writing a manual for the men and women in the pews or in the secret Bible study. Yes scholars need to write, sometimes, for scholars. Iron needs to be used to sharpen iron and not just for chopping up mushy substances. But Christianity is a bottom up exercise as well as a top down program. Disciples need to be taught. They need key Bible passages to digest, some inspiring illustrations, some warnings, and application. Sproul’s book is a great way to disciple the church. It will also be the textbook of choice for my next venture in teaching theology to a class. 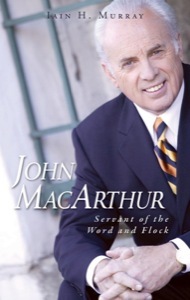 A fun and convicting read of recent weeks was John MacArthur: Servant of the Word and Flock by Iain Murray. Up front, I must say that I love the writings of both Pastor MacArthur and Mr. Murray. It is a delightful intersection where these two meet. MacArthur is a popular American pastor and author, while Murray is a Scotsman who is known generally in Reformed circles. MacArthur is quite baptistic and dispensational in aspects of his theology, while Murray is Presbyterian and post-millennial in his theology. But both men are great laborers in God’s kingdom and both have written some really good books. Both are international in the scope of their kingdom work. Both are examples of how God has used and diffused the Scots to minister throughout the lands. I have posted blogs about Iain Murray’s writings several times in the past. 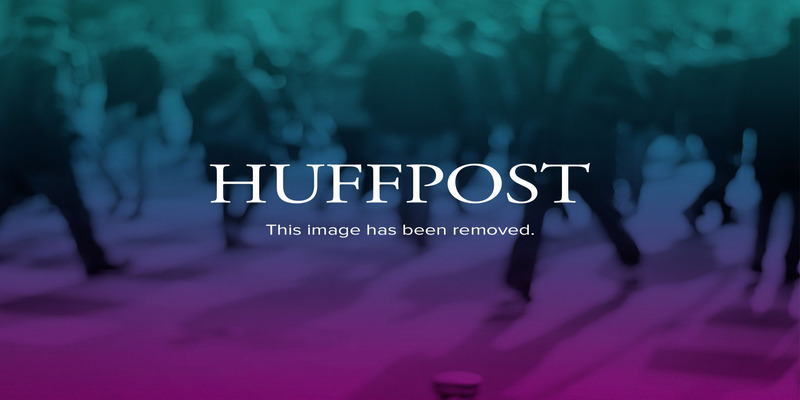 Click here or here to read some previous posts. When I read a book about someone like MacArthur, I must confess that I am looking for one of two things. First, I am looking for a prescription for success. I want to find a chapter, a page, or a quote that says, in effect, “Do this and you shall have success like MacArthur.” I want the easy shortcut to achieving some version of what he has achieved. The other search is quite the opposite. I want to find some character traits, some qualities, actually some super-powers, that get me off the hook. I want to be able to say, “No wonder MacArthur is so successful and I am not. He can read 10 books a day, write 20 pages an hour, preach 1000 sermons a year, travel the globe every month, and live off air.” Personally lacking the superpowers, I can excuse my own lack of accomplishment. Granted John MacArthur is gifted and successful. But he is an ordinary man, with some extraordinary graces. One of the key and recurring points of the book is that MacArthur dedicated himself to 30 hours of Bible study time each week. Having labored in ministry, I struggled with getting through MacArthur’s sermons on Matthew when preparing my own sermons. Having labored bi-vocationally in ministry, I was blessed when I had 10 hours in the week for study and preparation of a sermon. This book reminded me of how important Bible study is, but Bible study is a time investment. Yes, we all have time we could devote to Bible study, and yes we should all do more. But both a church and an individual pastor have to have designated, carved out time for such. The truth is that Luther and Calvin could not have been Luther and Calvin if they had been having to clock 40 plus hours a week in a law office or classroom. Another key to MacArthur’s success and a means of his blessing so many is his insistence on expository preaching. I really profited from the first couple of volumes in his four volumes of sermons on Matthew. He has taught a whole generation how to read through, study through, and learn through books of the Bible verse by verse. I am bothered to see that expository preaching is being sidestepped in some circles. It is, in my opinion as well as that of Mark Dever in his book Nine Marks of a Church, one of the key ingredients in good church life. More could be said about MacArthur here. 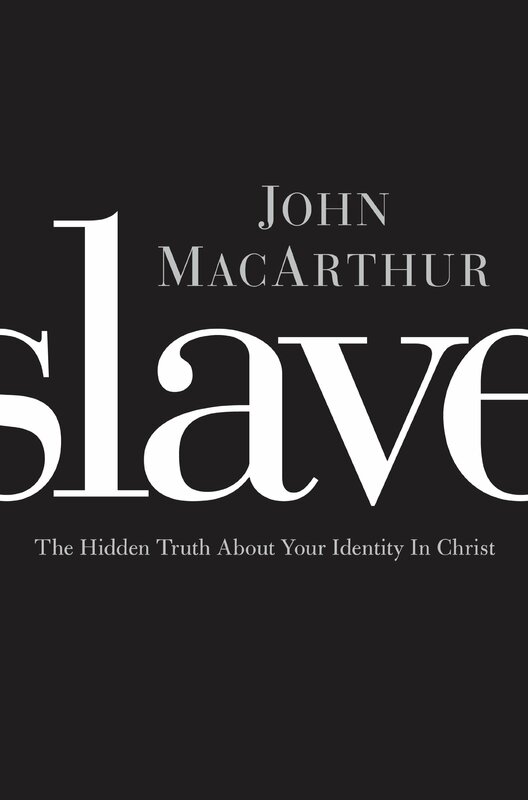 I think my favorite MacArthur books are Ashamed of the Gospel and Slave. I also enjoyed his study of the disciples, titled Twelve Ordinary Men. In spite of some disagreements with Strange Fire, I still found help in that book. As already stated, MacArthur’s sermons on Matthew are very instructive. More could be said about Iain Murray as a biographer. My favorite Murray books include his two volumes on Martyn Lloyd-Jones and Jonathan Edwards. 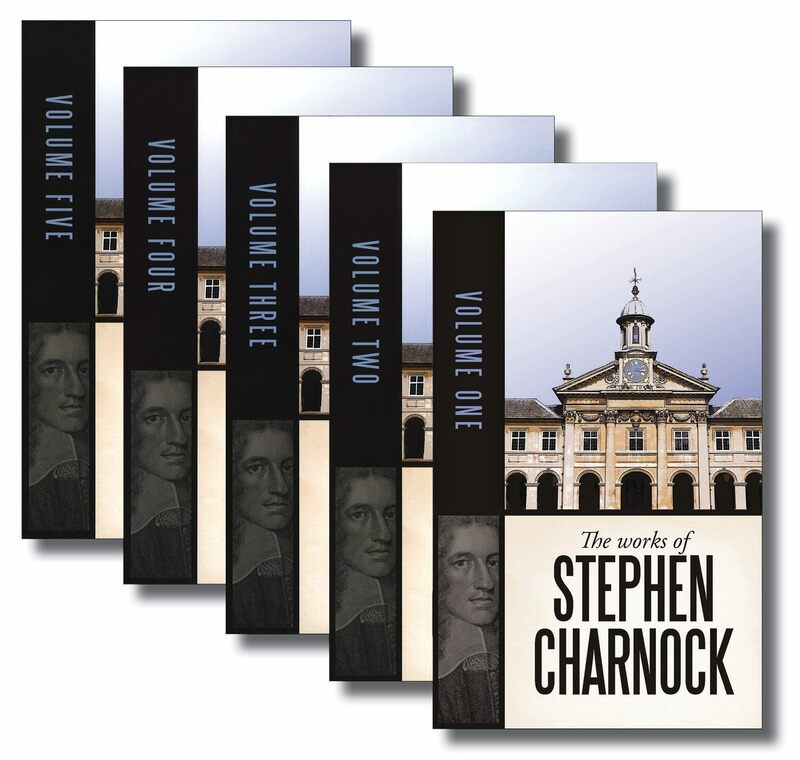 His books A Scottish Christian Heritage, Heroes, The Puritan Hope, and his biographical studies are all great encouragements. I would like to, in the spirit of the Heavy Laden Bookshelf, say something about MacArthur’s favorite books. As I have often stated, I love book lists. I love finding out who my favorite people like to read. MacArthur’s list is short, but instructive. Here are the books that MacArthur listed when he was asked what books had the greatest impact on his life. The comments that follow are mine. Arthur Bennett, ed. 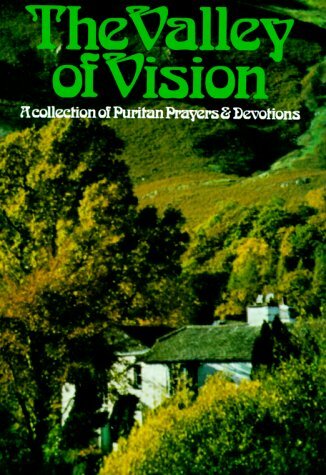 The Valley of Vision: A Collection of Puritan Prayers and Devotions. (Banner of Truth, 1975). I have had this book for a long time and have read off and on from these prayers. Puritans were long pilloried in American culture for being harsh, stern, and judgmental. Thankfully, there has been a revival of interest in Puritan theology in recent decades. There is no better place to begin than this collection of prayers. These are prayers to pray, imitate, and meditate. This collection is deep theology combined with intense devotion. J. I. Packer, Knowing God. (Intervarsity Press, 1973). This book is a spiritual classic. I read it back around 1976. Packer has been one of the most influential evangelical leaders in the modern Christian world. That in itself is interesting because he is an Anglican and a thorough going Calvinist. Packer is a highly skilled writer. He is probably one of the best deep Christian thinkers who communicates with average Christians who are willing to climb. D. Martyn Lloyd-Jones, Preaching and Preachers. (Zondervan, 1971). This is another book that I read many years ago. I wasn’t a preacher then, but it was really helpful to me in helping me understand ministry. 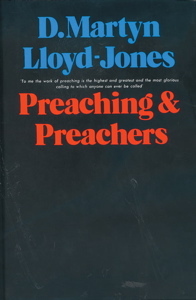 Lloyd-Jones was a powerful preacher and a restorer of the pastoral role in the pulpit. His sermons are still studied. His style was overwhelmingly expository. This book is his instruction for both aspiring and veteran preachers. D. Martyn Lloyd-Jones, Studies in the Sermon on the Mount. 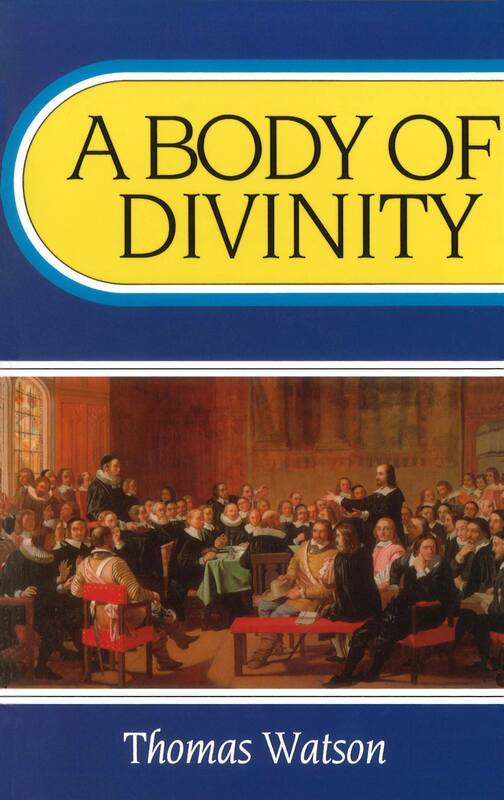 (Eerdmans, 1977) I have read from this book for years. 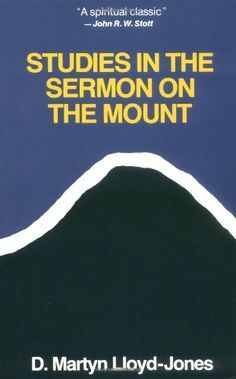 Last year, I devoted 31 sermons to the Sermon on the Mount. Lloyd-Jones had over 50 sermons in his series. This book is a gold mine of practical Christian living, expository preaching, and sound doctrine. It can be read as a commentary, as a model for preaching, as a sourcebook for preaching, as a theological study, or as a devotional study. It can be read from cover to cover or dipped into and read in parts. Arthur Pink, Spiritual Growth. (Baker, 1971) I am not exactly familiar with this book. Lots of Pink titles have been packaged under different names, so I may have the book. I don’t find too many people reading and talking about Pink in our times. He was a contrarian at times, and his theological application was undiluted. But he was a good servant of the Lord and proponent of Sovereign Grace in a time when such doctrines were rarely heard. I personally would recommend The Sovereignty of God and The Attributes of God by Mr.Pink. Iain Murray’s biography of Pink is a good read. John R. W. Stott, The Preacher’s Portrait. (Tyndale, 1967) I am not familiar with this book, but I did find Stott’s book Between Two Worlds to be one of the best books I ever read (and re-read) on ministry. Stott and Lloyd-Jones were contemporaries and friends (most of the time). Stott’s books are all worth acquiring. This book consists of five messages, or chapters, devoted to different aspects of the preacher’s role. Thomas Watson, The Beatitudes (Banner of Truth, 1975) I acquired several of Thomas Watson’s books many years ago. I gleaned some from this intense study when I preached through the Beatitudes. Watson is one of the great Puritan preachers and writers to study. Be aware that when a Puritan delves into a text, he doesn’t skim and skate over the top. Puritans mined for gold. They exegeted, applied, explored, made connections, and applied some more. A simple passage, like the Beatitudes, becomes a nice sized book filled with lots of theological content. 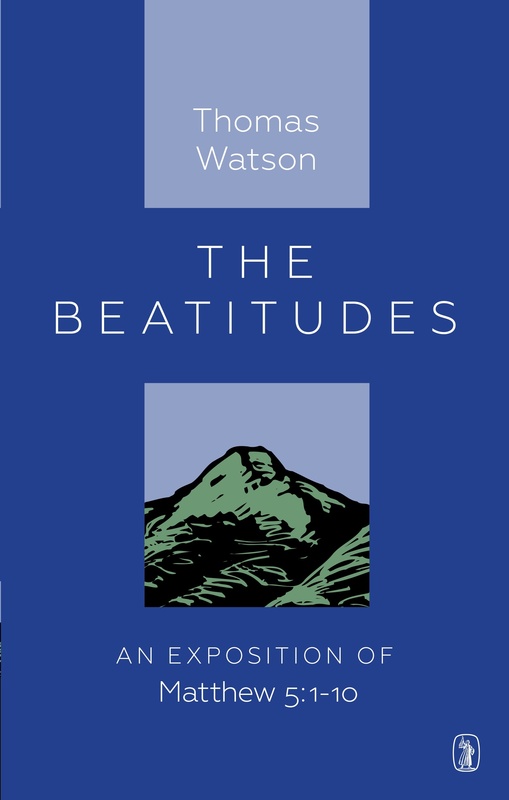 The new Banner of Truth edition, in hardback if desired, of Watson’s Beatitudes. It’s interesting that all these significant author/influences on MacArthur were British. And four of the nine titles are Puritan works. Most are still in print and many are Banner of Truth titles. John MacArthur, no doubt, has read and used much more than these classics. But these are the essential titles. This is the glimpse behind the curtain to see where much of his power lies. It is not the books alone. The biography, as stated above, emphasizes his dedication to intense personal Bible study. MacArthur also has a faithful and supportive wife, and Murray’s chapter on Mrs. MacArthur is quite good. He has also been surrounded by faithful elders and a faithful congregation. I don’t reckon many others will experience the success of MacArthur in terms of numbers, book sales, name recognition, and so on. Those things don’t really or ultimately matter. One may preach and influence 1 or a thousand. God is Sovereign over numbers. Our task, like that exemplified by MacArthur and Murray, is to be faithful in that task. Catching the big waves of big books. The summer days press on. The work schedule is irratic. My reading habits are evidences of literary A.D.D. I go from one book to the other. And I am not complaining. This is August 2014, which of course, means that it is essential to be reading something about World War I. That horrible conflict began in August of 1914, so you will be seeing references to it in many places. My main read on World War I is Catastrophe 1914: Europe Goes to War by British historian Max Hastings. 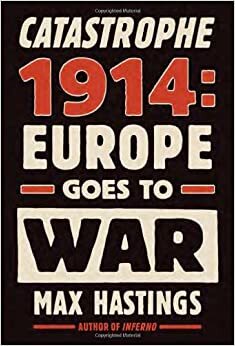 This book is not easy reading due to the number of names and events that all crowded together in the summer of 1914 that resulted in all the European powers locking into a hopeless war. It was an age that was woefully lacking in restraint and wisdom. None of the belligerents had true justifications for mobilizing. Few people seemed to grasp how the war would be ultimately destructive of so much of European civilization. I must admit that I am finding this book challenging. Part of the problem is that I am reading from it late at night. This is not an end-of-the-day read. It is first rate history, just as we have come to expect from British historians. But this book is a mountain. Anyone interested in the same topic, the beginnings of World War I, would be better advised to read Babara Tuchman’s enduring Guns of August, which is also titled August 1914. Amen to all that. So, Tuchman first and then Hastings. 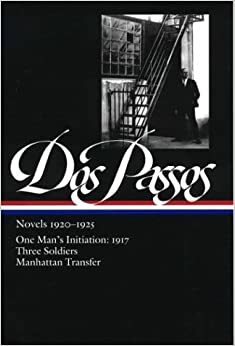 Another book I am reading on World War I is the novel One Man’s Initiation: 1917 by the American author John Dos Passos. Dos Passos was a companion to Ernest Hemingway and a part of the literary circles of the post-World War I period. He is not nearly as well known or as well read as Hemingway and Fitzgerald. This is, I am sad to admit, my first foray into reading Dos Passos. This book, like Remarque’s All Quiet on the Western Front or Hemingway’s A Farewell to Arms, is a sad indictment and testimony to the horrors of the First World War. 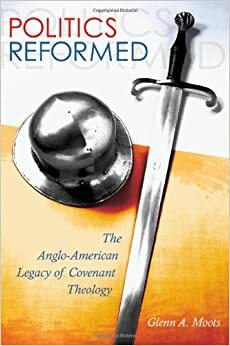 I am also plugging away at reading Politics Reformed: The Anglo-American Legacy of Covenant Theology by Glenn Moots. If you have ever lain awake at night wondering what the differences were between John Calvin’s and Henry Bullinger’s ideas of covenant, this is the book for you. It really is a good and serious study to the Reformation and Puritan backgrounds to the English and American political orders. It is a good example of Christian scholarship. Dr. Moots is an associate professor of political science and philosophy at Northwood University at Midland, Michigan. I am reading this book for collateral insights into classes I will be teaching this next school year. Those classes are Humanities: the Modern World, which focuses heavily on the Reformation, and government. 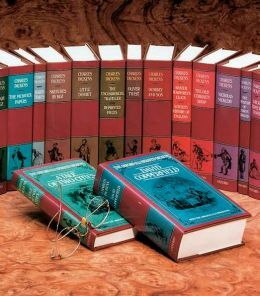 I have and treasure the Oxford University Press 21 volume edition of Charles Dickens’ works. I have read all too few of Dickens’ books. The book I will be teaching this fall is A Tale of Two Cities. In many ways, according the Dickens scholars, that book is atypical of Dickens. He normally did not stray outside of England and did not deal with historical events. I am trying to slowly increase my knowledge of the man and his corpus of literary works. You cannot seriously claim to understand an author until you have read a great portion of their writings. In Dickens’ case, I think a person needs to have read 6 to 10 of his novels carefully before they can even listen in on a serious conversation about the man and his work. I have a ways to go. Right now, I am reading Hard Times. I got motivated to read it after reading from an essay titled ” ‘Sitting Thoughtful in His Own Room’: Mr. Gradgrind as Belated Teacher” by Diana Senechal, which is found in the great book What is a Teacher? Hard Times is vital reading for a teacher. It poses, and in Dickens’ fashion overstates, the contrast between a world of facts and a world of imagination and soul. Dickens is a hilarious writer at points. His characters, just from the descriptions, are funny and sad, real and impossible. There are more books to mention, but for now, these will have to do.